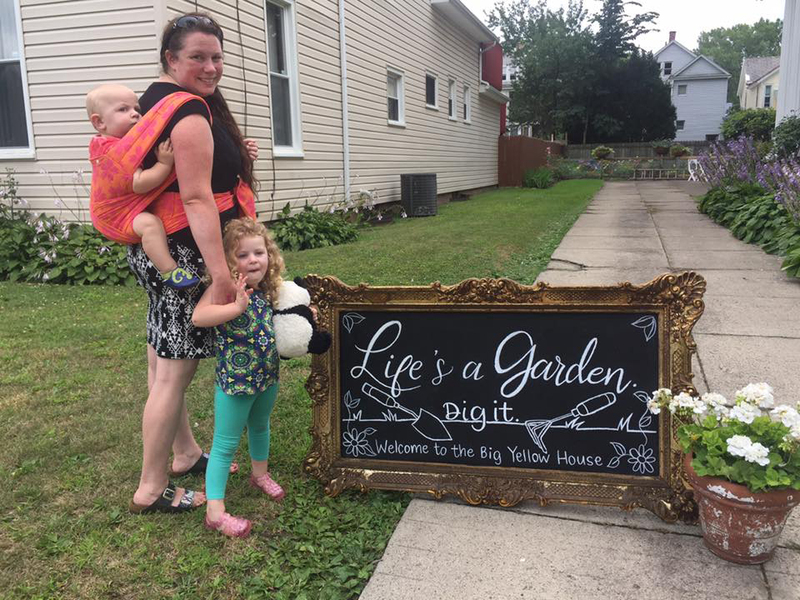 I made this sign for Sara, a participant in the Garden Tour Erie in July of 2017. 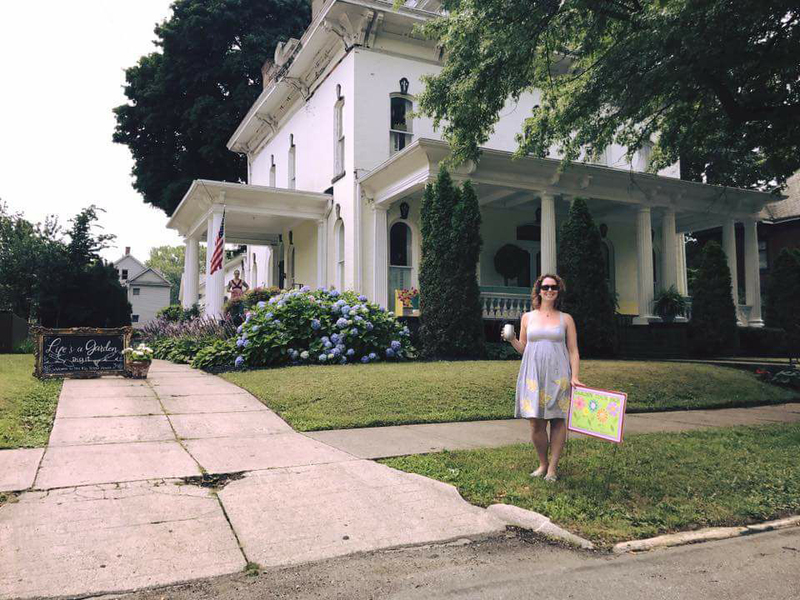 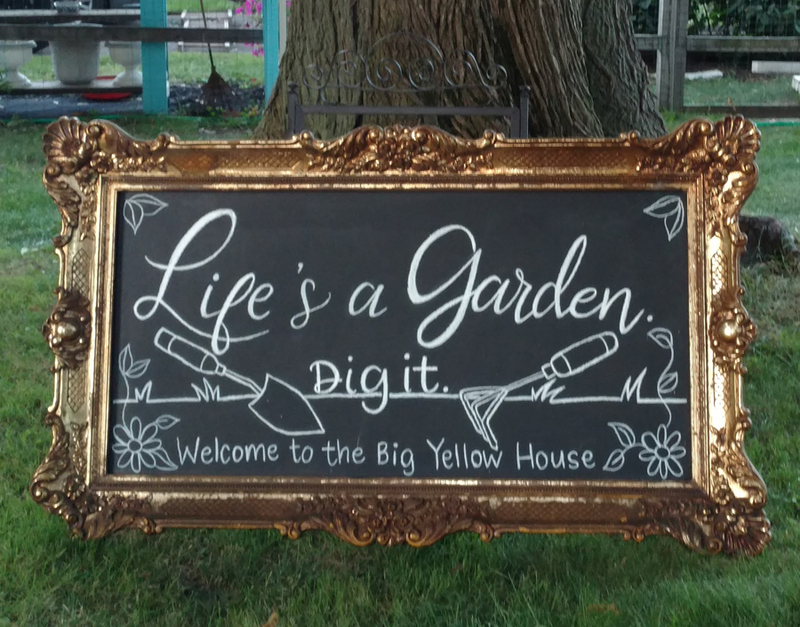 Garden Tour is an event sponsored by Bay City Gardeners, where gardening enthusiasts of Erie give tours of their garden. 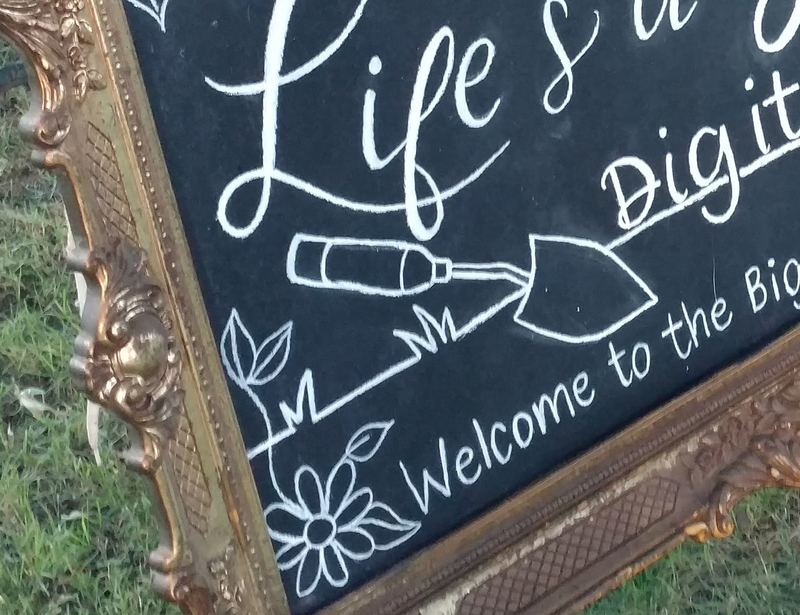 Sara asked for chalk art with the words “Life’s a Garden. 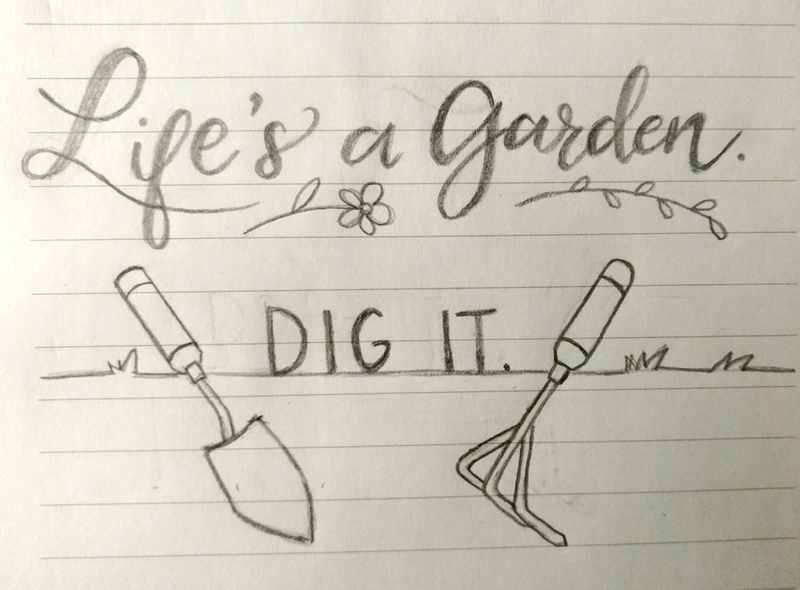 Dig it.” I came up with the sketch shown below. 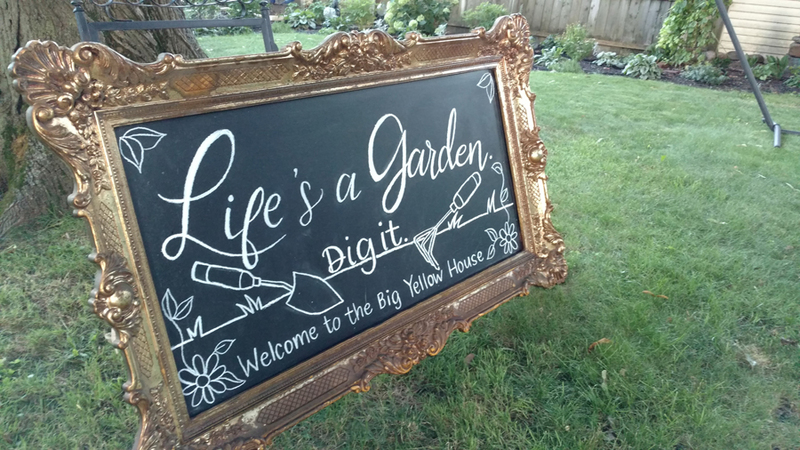 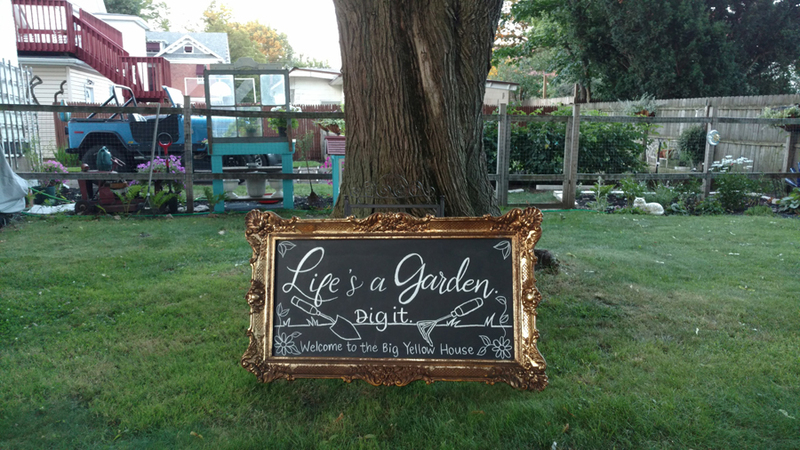 As you can see, the design changed a bit during the implementation – I added some flower and leaf details, as well as the quote “Welcome to the Big Yellow House” along the bottom. 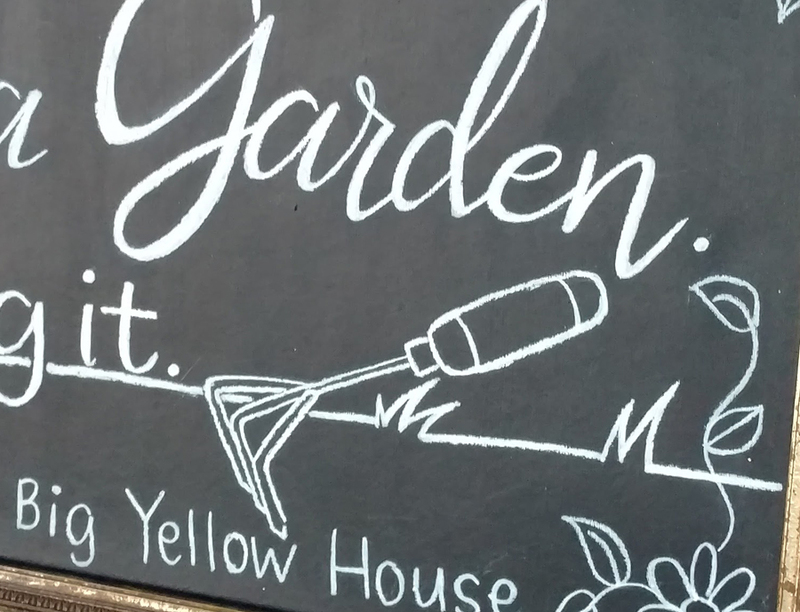 I first sketched this out using regular white chalk, and then went over everything with a chalk pen. 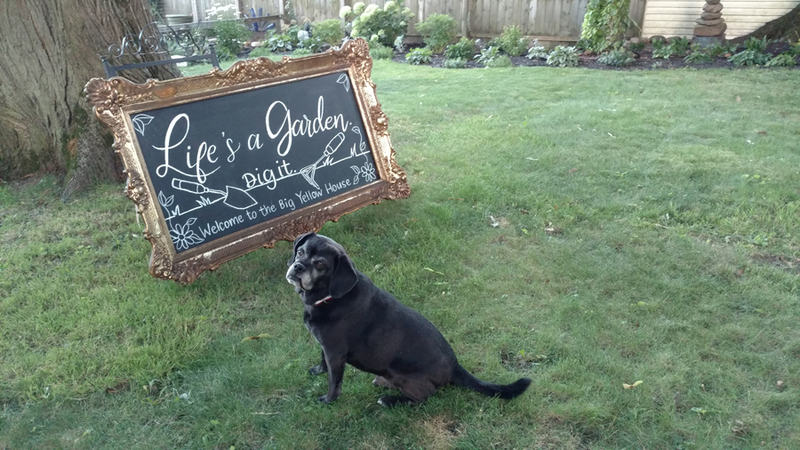 Overall I think it turned out great, and it was a nice “artsy” addition to her beautiful garden!